The entrance to Crystal Dome Cavern is less than 400 feet from the entrance to Mystic Cavern. Crystal Dome Cavern was discovered in 1967 when a piece of heavy equipment broke through the surface into the void. The first explorers were so impressed by the untouched natural beauty that they camped out by the opening until a gate could be installed to protect this pristine treasure. Crystal Dome was first opened to the public in 1982. 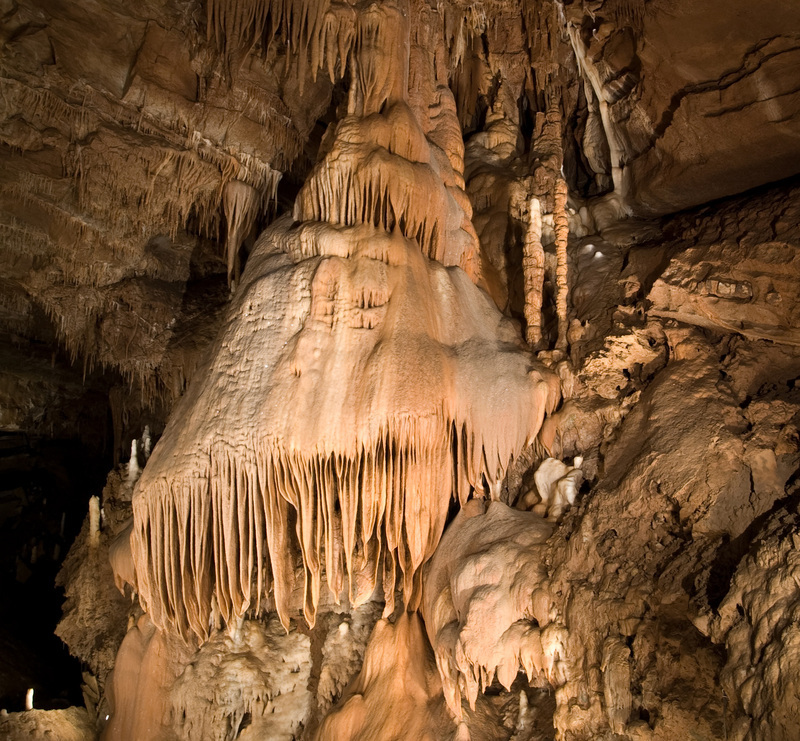 This cavern features a dome that is nearly 70 feet tall, the fantastic “Crystal Bell”, and other dripstone formations made with pure white calcite! The guided tour takes about 30-40 minutes. It takes you 110 feet below the surface and is the more strenuous tour that we offer at Mystic Caverns. Since both of our guided tours have stairs which are sometimes wet, we do not recommend the tour for people with walking difficulties or health problems.